Off message. I am trying to catch up on my walking posts. Following the May 5 election I went on a walking weekend with Gill to get away from politics and enjoy my "hinterland". We have been trying to complete the London Loop since last year in sections. The Loop is a 150 mile circular walk around London. On the Saturday we walked section 6 Banstead to Kingston which was about 11 miles. We stayed the Saturday night in a great "Airbnb" flat and enjoyed a night out in Kingston. On Sunday we walked from Kingston Bridge to The Causeway (about 10 miles). Bushy Park was a pleasure. A lovely green park with deer, lakes and beautiful flower displays. There are some busy roads and industrial areas during the walk but lots of walking next to water. Hounslow Heath was amazingly remote and even a little wild despite the noise from airplanes taking off from nearby Heathrow airport. I have lived in London for 28 years but spent nearly all that time in East and Central London. 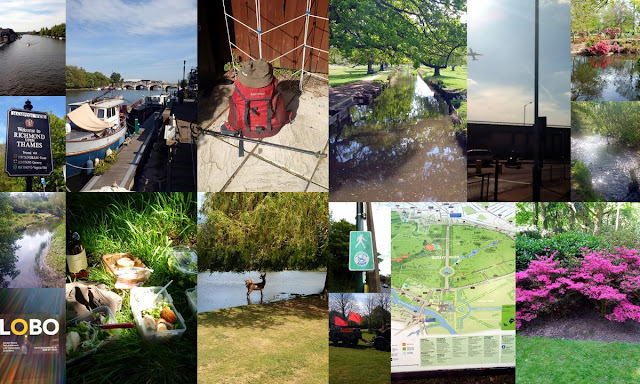 It has been an experience to walk and explore South, West and (next) North London. I recommend that all Londoners who can, should have a go at the "London Loop" and walk around their great City. There is no race and you can complete it in as long or short time as you want.